The PC version of No Man's Sky has been pushed back to August 12. We lied to you. Last month, we reported that No Man's Sky has gone gold. Usually, when a game goes gold, there are no further delays to its release date, and we stated as such in this article. However, Hello Game's Sean Murray has just announced via Twitter that the PC version of the game will be getting a last-minute delay. Its new release date will be August 12. 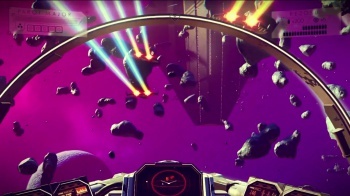 "PC No Man's Sky release will now be global and will be August 12 worldwide," he said. "It's so important we get it right and make the best version we can." He added that the PC version of the game was something the team is working "extremely hard" on.